There’s an odd thing about the Bible that’s easy to overlook: It begins and it ends with a tree. Everybody knows that in the Garden of Eden there was the Tree of Life. What’s easy to overlook is that, in the very last chapter of Revelation, God says, Blessed are they that do his commandments, that they may have right to the tree of life, and may enter in through the gates into the city. 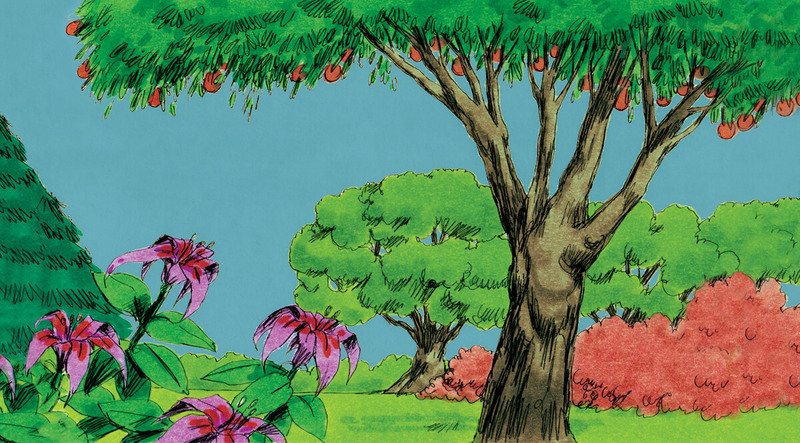 Now, as you know, the Tree of Life was in the Garden of Eden, and it hasn’t been seen since Adam and Eve were evicted. But you also need to understand that the Garden of Eden was not everywhere. It was a little world of its own within the larger world of the planet. In fact, the Garden of Eden did not even encompass all of Eden, but was eastward in Eden . God created man out of the dust of the ground and put him into this small world—a world of their own. There are a few things we can say about this world. We know there were animals there, but we know none of them were dangerous. We know they had all the food that anyone could desire to eat. There was work to do, because Adam was told to dress and keep the garden. We know the climate was mild, because there was no need for clothes. From what comes later we know there were no thorns or briers. We can infer there were no weeds or noxious plants. We can also infer that there was no pain, no disease, and we know that there was the potential for living forever. It was an altogether perfect world—all upside, no downside. But there was a gateway out of this world, and that gateway was a tree.